Secure and charge up to 10 of almost any device. Visually see what devices are locked up with open design. Vertical design makes retrieving devices easy. 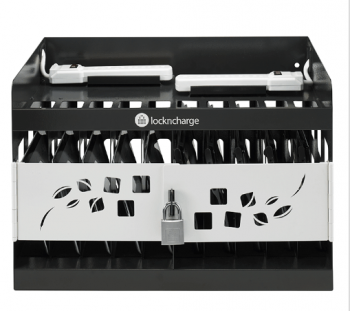 Charge, store and secure 10 Chromebook, Laptop or other mobile devices. The LocknCharge Revolution Wall Cage features an open design to enable passive ventilation for devices that need it. It also means that the teacher or IT administrator can quickly check and make sure that all the devices have been returned after use. All in one solution. Store, charge and secure up to 10 Chromebook, laptop, or other mobile devices. Efficient charging. 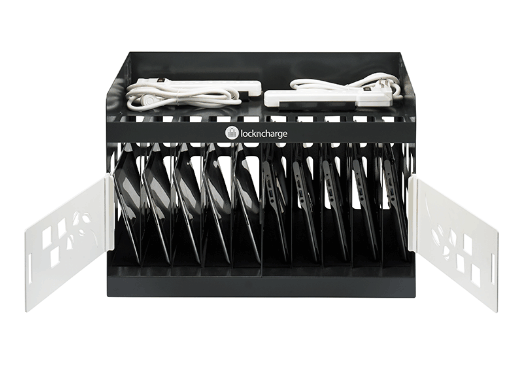 Charge 10 Chromebook, Laptop or Tablet devices at the same time. Lifetime warranty. LocknCharge products are built to last the distance. Secure! 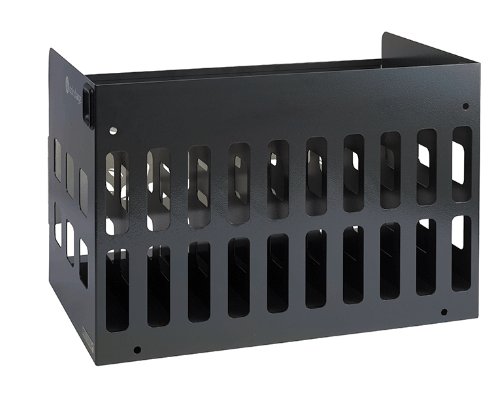 After a day of use, lock your devices inside the wall mounted Wall Cage. Overload Protection on all power points to protect your devices during charging. Felt lined slots for protecting your Chromebook, Netbook and Tablet devices. Open design for easy visual checks and preventing Chromebooks, Laptops or Tablets from overheating. Vertical orientation designed for easy access to your devices.